A client of Amanda Grover Real Estate will never be viewed as just a number or a paycheck. Our brokerage shall never stop striving to meet & exceed the needs of those put in our path. Our clients fulfill our need & desire to serve others. Let us never forget that “For whom much is given, much will be required. Our role as a FINGER LAKES REAL ESTATE BROKER is to be sure you’re successfully guided through the buying or selling process, while taking the time to make sure you understand every step of the transaction. Our clients tell us they truly appreciate our thoroughness and attention to detail. Commitment to Your Satisfaction – that’s the foundation from which we’d like to build a solid business relationship with you. We’re committed to an attention-to-detail approach involving necessary negotiating skills, time management for proper reply time and our “straight-forward” attitude, necessary to serve you better. We realize that people do business with people they trust. We are interested in what is best for you, our client, and are committed to establishing a long-term relationship based on trust. We understand how referrals and repeat business are established and want to earn the privilege of assisting our client’s friends, family and co-workers as well. We pride ourselves on being knowledgeable and staying current with changes in the industry that will affect the success of your transaction. We feel the responsibility to make your real estate goals a reality and pursue the right solution enthusiastically. I am fortunate to have my personal passion coincide with my professional life. 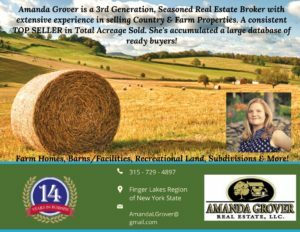 In addition to managing Amanda Grover Real Estate, LLC, myself and my husband, Travis Grover, buy, sell, and invest in Finger Lakes Region & Adirondack Mountain Real Estate. As an active real estate investor, I have extensive experience and knowledge above and beyond that of many real estate professionals providing me with distinct advantages in the marketplace. I am truly a full service realtor. My commitment to my community is shown by making my family and professional home in the heart of the Finger Lakes. Our vacation home/rentals in Old Forge (Adirondack Mountains, NY) area boast my family’s love for the Central Adirondacks. From residential to multifamily and land, I know the needs of a primary home owner, as well as a vacation home owner. I was born and raised here in the beautiful Finger Lakes Region of New York State. 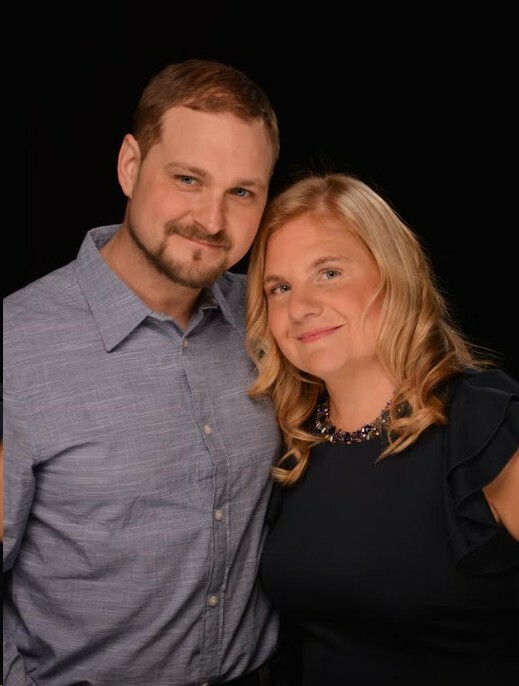 I come from a family of Real Estate Brokers (proudly 3rd generation), so I guess you could say Real Estate is “In my blood!” I grew up around many entrepreneurs and business minded people, so from a young age I knew owning my own business was going to be the right fit for me. In high school, I took business classes and carried that through to my college years with Business Management. At age 20, I developed a Finger Lakes property management company from the ground up, under the direction of my grandfather and uncle (both brokers, builders and developers). I managed waterfront properties on several of the Finger Lakes for homeowners and rented them out to vacationers. I grew the company’s inventory to over 40 properties in just a year and half. It taught me many things and I’m grateful for the head-start it allowed me! I quickly realized I loved SELLING real estate! One thing led to another and I began my own brokerage. Things were no doubt scary going out on my own, the youngest real estate broker by far, in the area. But, never the less, my father always preached “Whatever you put INTO a business, you will get out.” In other words, if I worked hard, I’d succeed. I have been honored with SALES MASTER & SALES MASTER GOLD several consecutive years, representing sales volume in access of $4,000,000 (Gold = $6,000,000+). Underneath all that I do, my core values are what drive me. I have a strong sense of how a client should be treated and how they must be served. Not a day goes by that I don’t put myself in the shoes of our clients (be it a buyer or seller) and ask myself “How would I want to be represented?” I think this concept really grounds me. Outside of work, I enjoy spending time with my husband and wonderful children. We love the outdoors and working at our home & land. When I get “me” time I enjoy yoga, hiking, kayaking, long walks through the woods, reading and crafting. God, bless my family for helping to make this all work!